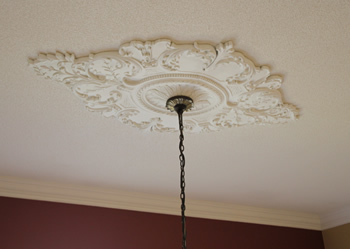 If you are looking for a means of improving your home a ceiling medallion can draw focus and infer taste and sophistication to the simplest of areas. 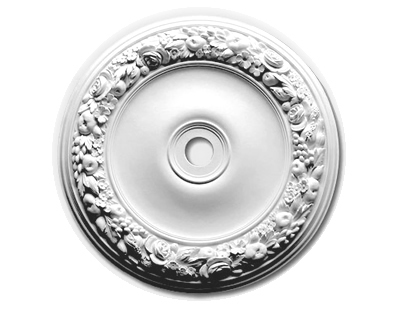 Our Canadian designed ceiling medallions work fantastically with chandelier attachments as well as fortifying the design motif of a room. 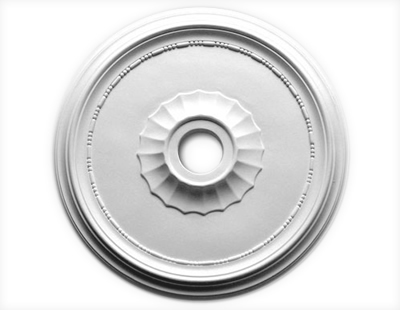 A great way to increase the value and appearance of your home the installation of a ceiling medallion adds class and elegance whilst complementing existing molding. 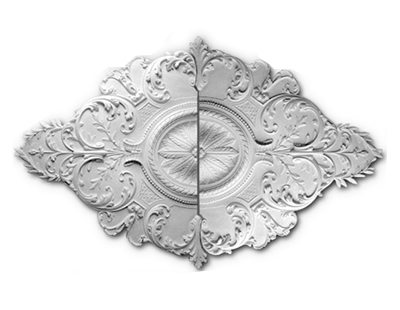 Our company offer highly decorative designs as well as functioning chandelier medallions of a top manufacturing standard. 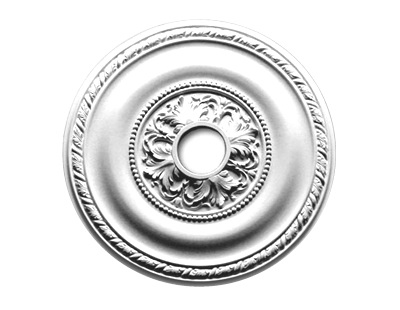 Installed with relative ease and at little cost, our ceiling medallions are guaranteed to enrich and the home with traditional beauty and combine well with molding and trim. 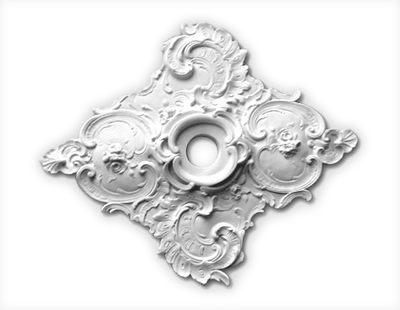 Styrofoam polystyrene models with elegant design motifs, inexpensive to integrate with use of a practiced installer. Extensive designs and style choices available to ensure harmony and integration with your design profiles, models and types available for viewing and to buy at our Toronto showroom. 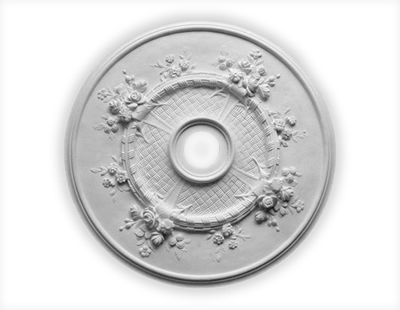 The installing of chandelier ceiling medallions that grant functional and aesthetic quality that is second to none. 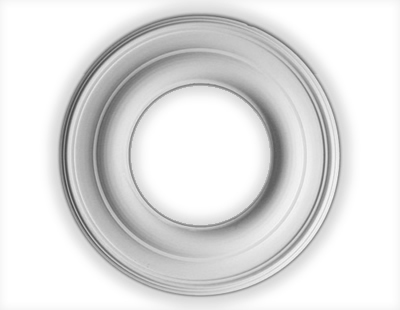 With an excellent breadth of inner diameter our chandelier models make the incorporation of lights simple and visually stunning. 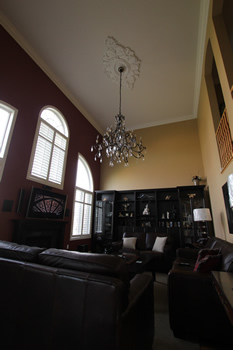 Attract and draw intrigue with our intricate adorned ceiling centers without unnecessary spending and labor. Available in Toronto and GTA. 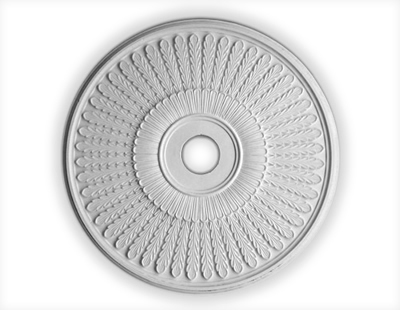 Our medallions are the ideal method of drawing focus and attention to a part of your home that may be left basic and uninteresting. 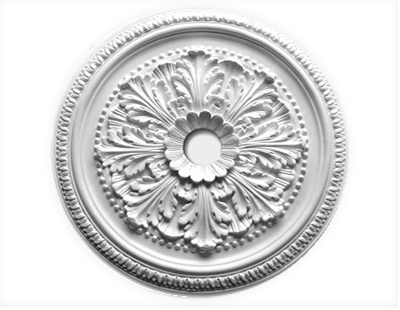 Our Styrofoam polystyrene ranges of ceiling medallion offer you a great selection of design choice at a competitively reasonable price. Chandelier medallions ensure a classic finish and easy accompaniment with lighting pieces, providing an extravagant focal point to the home. 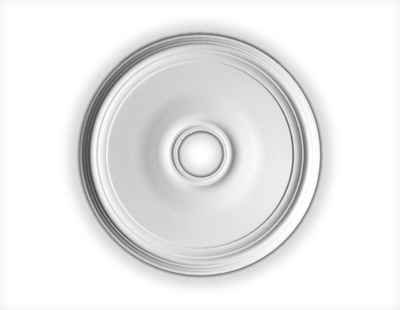 Installing a ceiling center will provide a room with character and an additional attractive quality that would be absent from a bare ceiling space. 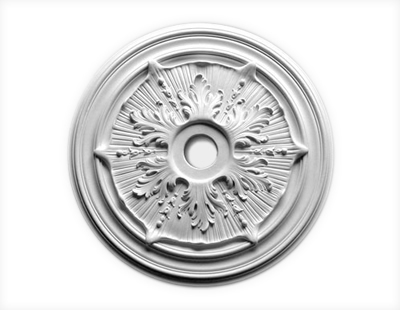 When used in combination with various other decorative re-modeling our medallions and centers perfectly complement crown molding, trim, wainscoting and chair rails.